Welcome to perfect creekside living in Pritchard Farms! 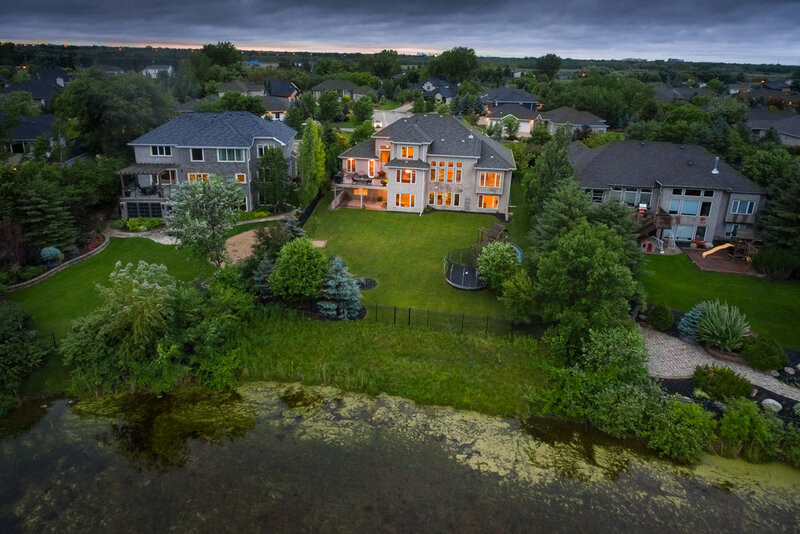 This elegant estate features a 210x80 river lot that’s built for large backyard get togethers in the summer, or legendary Christmas hockey games in the winter. What’s true luxury? How about well over 4000sqft of upscale & sophisticated finishing work, 6 bedrooms, 4 full bathrooms, with massive walls of windows on each floor with soaring views of the pristine yard! The kitchen is out-of-a-magazine nice and features maple cabinets with light-toned granite countertops, luxurious industrial-style gas stove and hood fan with built-in side oven and double door fridge. The great room is unreal and features a massive gas fireplace with custom millwork, and the 16x12 formal dining room will accommodate the biggest of families. The principal bedroom is feels like a suite at the Ritz, and is conveniently located on the main floor, which is perfect for a lifetime home. The home has 5 additional stately bedrooms—two on the 2nd floor, one on the main floor currently used as an office, and 2 more bedrooms in the finished walk-out basement. Want more? This home also features a fully finished walk-out basement area with structural wood floor, wet bar, media room, plus massive triple car garage, and much more! With a buyers incentive of PRE-PAID TAXES for 2018 - Call today!